Barrier Security Products manufactures and designs safety and security products including bollards, barriers, forklifts safety, machinery guarding, pedestrian control, safety products, speed humps, vehicle and parking control and visual warning signs. Barrier Security Products has released its new product, the Slo-motion Compliance speed hump to the Australian and international market. Compliance is a modular speed control system consisting of independent modules each 250mm long with rounded end caps. Formally imported from China, now is manufactured in Australia to comply with the relevant Australian Standards. Manufactured from a high tech linear low density polyethylene with solid colour, Slo-motion Compliance speed hump will not fade, rot, rust or crack and has built-in prismatic reflectors for enhanced night visibility. 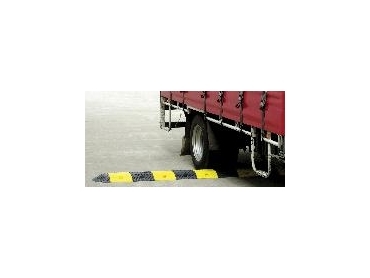 Slo-motion Compliance speed hump is suitable for car parks, schools, shopping centres, factory complexes or anywhere it is desired to control the speed of vehicles. “It is great to have such a great quality speed hump manufactured right here in Australia” newly appointed Business Development Manager, John Watts, quoted. “I can see this product really going places with interest from all over Australia in its first few weeks of being released” John said.